EDINBURG — The University of Colorado announced three candidates for a chancellor position at its Colorado Springs campus and Havidán Rodríguez, provost of the University of Texas Rio Grande Valley, is among them. Rodríguez is part of the founding administration at UTRGV, also serving as vice president of academic affairs. Under founding President Guy Bailey, the team helped transition the two legacy institutions — UT-Pan American and UT-Brownsville — into UTRGV, which opened its doors in 2015 and was deemed the first university created in the 21st century. 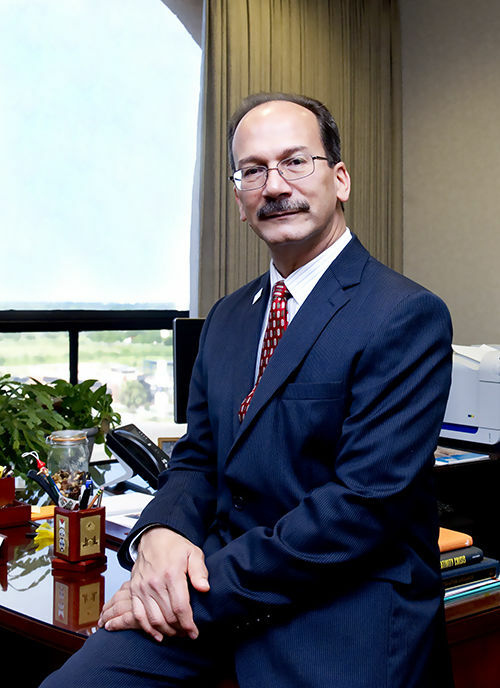 Rodríguez’ tenure with the university goes back to UTPA, where he also served as provost and vice president before leading the institution as interim-president for the last year of its existence. This week, Rodríguez will be visiting CU for open forums with faculty, staff, students and community members. He could not be reached for comment on Tuesday as a staff member stated he would not be back until Thursday. A spokesman at UTRGV said the provost preferred to hold comment until the hiring process at UC is complete. Rodríguez is the last to visit the university, as the other two candidates — Venkat Reddy, College of Business Dean at UCCS, and Michelle Johnson, superintendent of the U.S. Air Force Academy — visited last week. Forum attendees will be able to evaluate the candidates via a confidential survey, which will be submitted to Benson. Once all feedback has been reviewed, he expects to make a decision within weeks, according to the news release. The candidates are seeking to replace former UCCS Chancellor Pam Shockley-Zalabak, who retired from the university in February after 15 years as chancellor and 40 years with the institution. Prior to working at UTPA, Rodríguez held top administrative positions at the University of Delaware and the University of Puerto Rico- Mayagüez. He holds a doctoral degree in sociology from the University of Wisconsin-Madison.